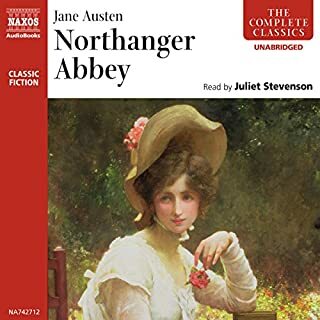 The first novel of six in Trollope's series of the Chronicles of Barsetshire introducing the fictional cathedral town of Barchester and the characters of Septimus Harding, the Warden, and his son-in-law Archdeacon Grantly. 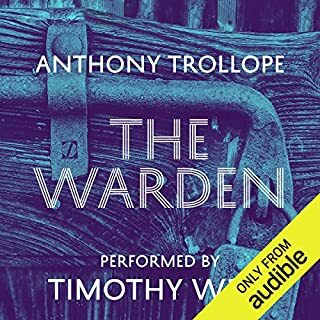 The Warden concerns the moral dilemma of the conscientious Reverend Septimus Harding, who finds himself at the centre of a bitter conflict between defenders of Church privilege and the reformers of the mid-Victorian period. Set in a chaotic time in England, during the height of the Napoleonic Wars, Caroline Helstone's world is turned upside down when she meets the vivacious Shirley Keeldar. Shirley becomes a beacon of light for Caroline as the two become close friends. However, Caroline is soon shocked to discover that Shirley has won the affections of Robert Moore, the impoverished mill owner whom she loves. Fully representative of Yorkshire life at the time, Brontë's second novel is completely gripping, unrelenting and utterly wrenching in its portrayal. A sequel faithful to Jane Austen's beloved masterpiece, Pride and Prejudice. Elizabeth and Mr. Darcy have been married for almost a year, and their heated arguments are a thing of the past. All that passion is now directed into more satisfying pursuits. But how long can the honeymoon last? 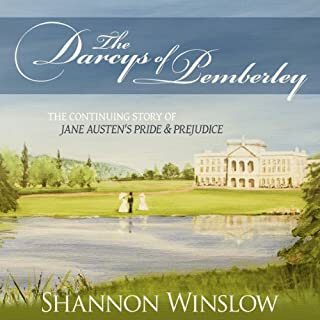 The Darcys of Pemberley is the tale of two romances: the continuation of Darcy and Elizabeth's story, and the courtship of Miss Georgiana. Although Molly resents her stepmother, she befriends her new step-sister, Cynthia, who is loveable, but worldly and troubling. 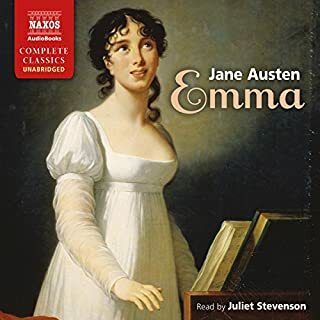 The audiobook chronicles their maturation into womanhood within the confines of the gossiping and watchful society of Hollingford. As Molly matures and falls in love she learns to judge people for what they are, not what they seem. Through Molly, the social values and changes of early 19th-century England are brought to life in this timeless representation of human relationships. 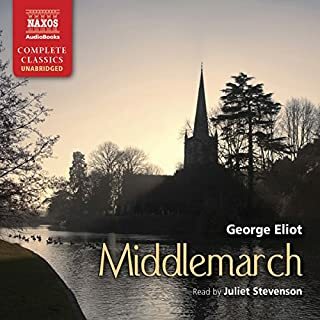 The audiobook is more than just a nostalgic story of village life, it offers an ironic critique of mid-Victorian society. Known as her last, longest, and perhaps finest work, it was not quite complete when Gaskell died suddenly in 1865. The last section was written by Frederick Greenwood. Prunella Scales is a classically trained stage actress but is best known for her role as Sybil Fawlty in the BBC comedy Fawlty Towers (1975-1979) and for her role as Queen Elizabeth II in A Question of Attribution (1991) for which she was nominated a BAFTA. Her film appearances have included Stiff Upper Lips (1997), Howard's End (1992), and Wolf (1994). She was awarded the CBE for her services to drama in 1992 and the Patricia Rothermere Award for her contributions to British Theatre in 2001. More recent appearances have included the mini-series The Shell Seekers (2006), a production of Carrie's War at the Apollo Theatre (2009), Horrid Henry: The Movie (2013) and a guest appearance in the popular BBC radio comedy Cabin Pressure (2013). 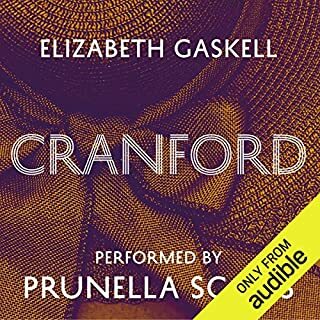 Julian Barnes' The Lemon Table and Anne Fine's Charm School are among the many audiobooks Prunella Scales has narrated. What a beautiful novel - the wonderful characters brought to life in their simultaneously flawed and redeeming ways. Glaskell at her best, by far my favourite of all her novels. It was endearing to the heart. Prunella Scales narrated it so brilliantly. I have never enjoyed a narration as much as hers in Wives and Daughters. I really felt she was able to convey each of the characters accurately. I enjoyed particularly her narrating Hyacinth Gisbon - her personality was captured to perfection. Lovely story. A shame it was never finished. I probably wouldn't have listened if I'd known. A committed Jane Austen fan, I first discovered Mrs Gaskell through BBC mini-series adaptations of her books whilst casting around for something similar to Jane. The story itself is wonderfully written with characters that shine. There is subtly of character, humor, and character that you will love and love to hate. 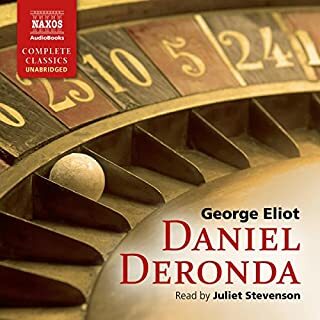 But what really sets this one apart is Prunella Scales' absolutely superb narration, which the sample does not do justice to. She is able to read the male and female characters, upper and middle class accents, and local dialect accents wonderfully. I am English myself, and was so impressed by her range and accuracy. I shall certainly be looking out for more books read by Ms Scales -- bravo! 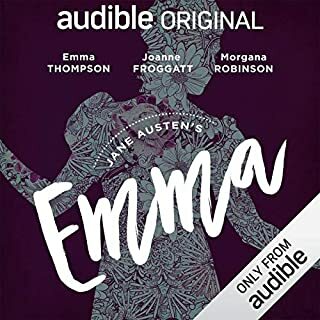 So if you are a fan of light but subtle, well-written period drama's (this is set in a country town in Victorian England) a la Jane Austen, give this a try - you won't be disappointed. 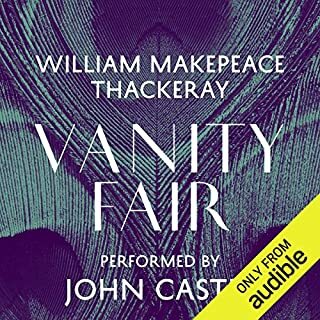 If you're in the mood for a delightful listen about Victorian, England, I definitely recommend this. It was entertaining and fun and light. Prunella Scales is probably the best reader of any book I've listened to. She moves from person to person so easily that you glide along with her and she never sounds forced. I was disappointed when I read in some reviews that she died before she could finish the book, but the ending is there just not in her voice which of course would have been preferrable but did not spoil it for me. This is a wonderful novel and I highly recommend it. 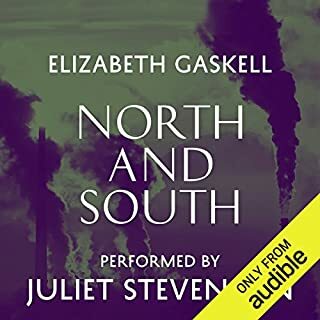 The writing style of Elizabeth Gaskell is quite captivating and enjoyable. I had seen the film adaptation on A&E and it was so well done I felt compelled to read the novel that had been adapted to film. 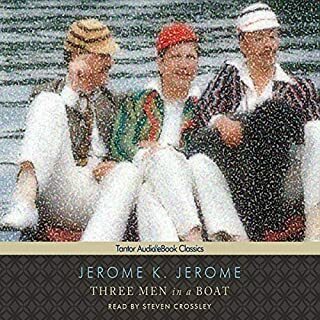 Time constraints have led me to audible.com and this version was very well done. The narrator does a splendid job with the novel. 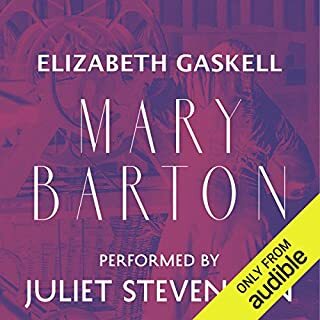 I would listen to other works she has narrated and I will definitely read more by Elizabeth Gaskell. Even though Gaskell died leaving the last chapter up to the reader's imagination (Does it have a usual Austen-like happy ending, or, maybe since the set-up resembles a bit <i>Villette</i>, a more ambiguous ending, one in keeping with Gaskell's admiration for Charlotte Bronte? )- this is still an excellent read for fans or 19th century novels. Perhaps the lack of a trite final chapter adds to the read. It's more social and character satire (think Gaskell's <i> Cranford</i> than "social problem" novel (think her <i>North and South</i>). Unlike Austen, though, Gaskell overdoes the satire sometimes. There are still some protofeminist elements (Molly has a developing inner life that she sees being stifled by societal conventions!) but they seem to wane as the novel goes on. 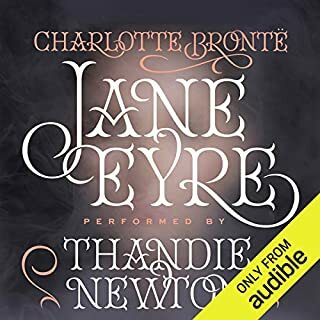 The prose and structure still aren't Austen or Bronte qaulity, but I found the novel smoother than earlier Gaskell (perhaps the excellent narration helped too). It is Prunella Scales' narration which brings this novel alive. Each character has an immediately identifiable voice. As a previous reviewer remarked, she illuminates the novel in a way you couldn't do in reading it yourself. I really enjoyed Wives and Daughters. Prunella Scales did a wonderful job reading the story. I certainly recommend 'listening' to this edition of this classic story. A little slow at the beginning, gets better and better with time. Characters very well developed, was sad to part with them at the end. I have listened to "Wives and Daughters" twice and it was even better on second listen. All the characters are well drawn, but Cynthia steals the show; busily breaking hearts while her selfishly obtuse mother works little miseries upon all who are nearest and dearest. 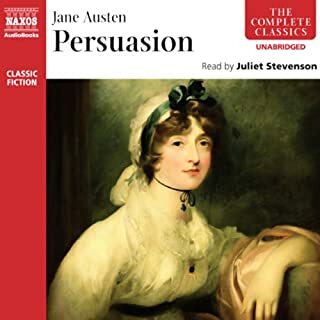 This is one of Mrs. Gaskell's most humorous books with a flavor of Jane Austen. The reader does full justice to "Wives and Daughters" and brings all the characters to life. I loved this book. It is the first EG book that I have read or listened to. But I am a fan now. I wish that she had been able to finish it. I'd enjoy anything read by Prunella Scales. I wish there were more books by her. I heard the humaness and humor of the author better than I would have if reading it myself in print. At first I thought Prunella Scales' relatively low-key reading a little dull, but as I Iistened my way through this lengthy classic I came to hear that she has it brilliantly right: a more hyped-up reading would have grown impossibly tiring. Her characterisations of the wearisome Mrs Gibson, the overbearing countess, Cynthia, the Squire and others are spot on, with never a doubt about what each is thinking and feeling behind their words. She even overcame the only drawback of the book - that Molly and Roger are so spotlessly white, and their relationship so lacking in tension, that I have always found it difficult to take a full interest in whether or not they come together. I am a big fan of the BBC TV dramatization of Wives and Daughters anyway, but this reading excelled all expectation. 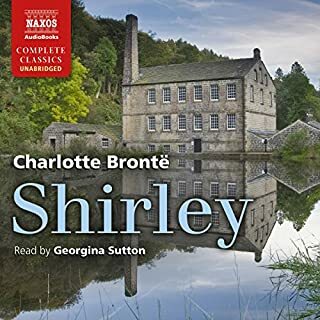 I imagine that the success of good narration is allowing the listener to become absorbed in the story and not be distracted by the reading itself, and Prunella Scales completely achieved this. Thank you for hours of extremely enjoyable listening. 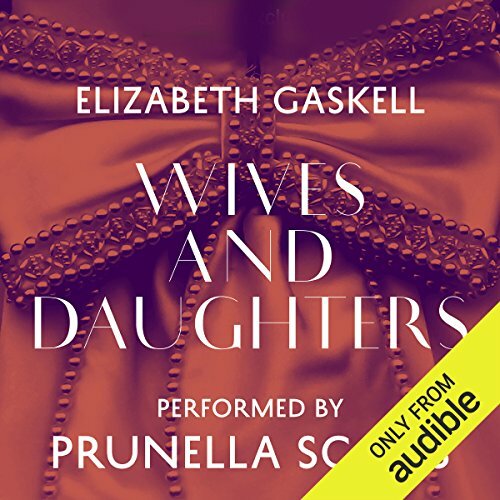 Where does Wives and Daughters rank among all the audiobooks you’ve listened to so far? One of the best books I have listened to recently. The simplicity of the story and I Gaskells ability to make you feel like you are in the room with the characters made this a charming book. What does Prunella Scales bring to the story that you wouldn’t experience if you had only read the book? Prunella Scales was the ideal narrator. I read some reviews which say she gabbled too quickly some of the characters. I have to disagree here she brought to life these characters in the way she portrayed them. The book induces all manner of feelings, Gaskell has a way of endearing all the characters to you. Even those you assume when first introduced to them that you won't like. Mrs Gibson for instance I found I developed an unexpected sympathy for. The ending is abrupt as Elizabeth Gaskell died before the last chapter. However the story is really told by then and the summary ending given by her editor is what you already expect. It is a shame she never finished this book, however it is a great work and has certainly challenged Jane Austin in my affection. A fabulous listen. Prunella Scales' depiction of each of the characters is brilliant. I loved it. An excellent book - beautifully written and witty with memorable characters. The enjoyment is enhanced by the memorable reading of Prunella Scales. This is a great story with wonderfully conceived characters. 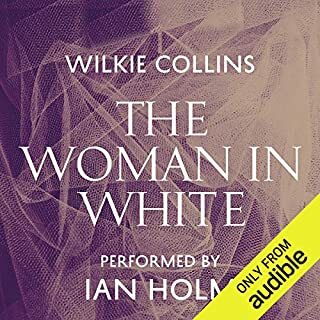 It is seldom an audible book matches the enjoyment of a paper copy but Prunella Scales reading of this novel is masterly and draws the listener in. I enjoyed being transported back into another era. The reader captured the voices so well. I had not read the book before and found it very interesting as an evocation of another era. 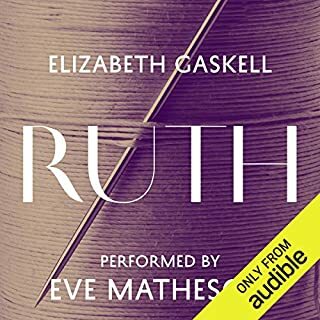 A very enjoyable audio book. 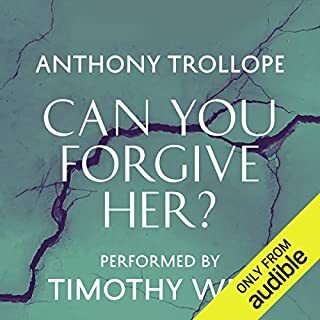 Skillfully read by Prunella Scales only to be faulted in that occasionally she delivers some of the dialogue rather quickly. Her reading is responsive to the affect of the text and distinguishes well the differing characters. It is a long book which also makes it a treat to listen to. Recommeded. This is a book I'd never 'read' much as I might like to think I would, but it is so long and so much of it is exactly the sort of prose I'd skim or skip if I was reading it myself. However, read to me by Prunella Scales, it was just superb. The lengthy passages of internal dialogue from Molly (and others) were never dull, even the lists of often very boring activities, meals, visits and so on were all brought vividly to life. I think the combination of Prunella Scales reading EG's often very witty, sly and funny prose is just perfect. The story is exactly what the title indicates - a tale of the relationships between and around the wives and daughters of the main family. Characters are sympathetically drawn, faults and all, but never meanly portrayed. Even the 'baddies' are given some redeeming qualities, and faults and foibles are noted, but often lovingly described. I absolutely loved it and I hope you do too. Keep listening past the opening rather slow first hour or so, and gradually you will be lost in this beautiful, clever and simple book. A warmhearted tale, well read! I love this story and Prunella Scales is an excellent narrator. Recommended for long winter evenings by the fire side!